Now that Indian summer is behind us, it's time to step into autumn with booties. Booties are everywhere this fall, and they pair well with all lengths of dresses, skirts, jeans and even shorts. If there is one fall accessory you should buy, it's the bootie. High to low, stacked to flat, peep-toe or closed-toe—they all work. 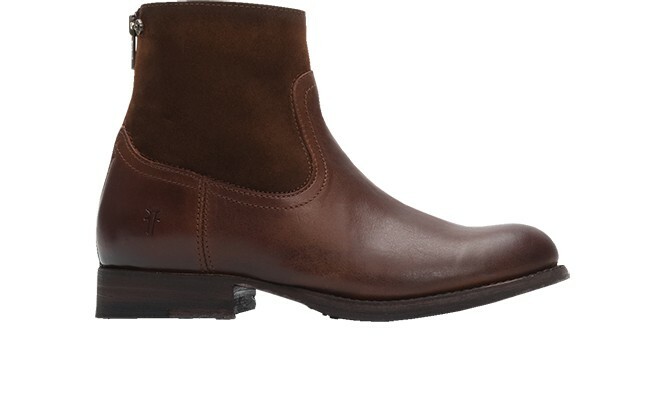 Frye Jamie Zip Bootie, $325. Mary Jane's (613 Main, Park City, 435-645-7463, MaryJanesShoes.com). With a vintage nubuck leather bottom and contrast suede texture on top, this 1-inch heel height, back zip can be worn open or closed. This is a go-to boot from day to night, dress to jeans. Mary Jane's has been a shoe destination for more than 10 years and they have expanded into clothes and accessories with lines like Current /Elliott, AG, Michael Stars, Freeway and ALO Yoga. Seychelles Clavichord Bootie, $155. 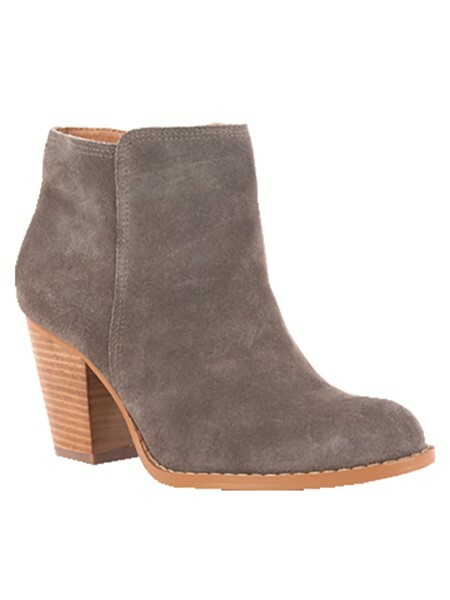 Mary Jane's This gray ("taupe") suede bootie has a side zip closure at ankle and 3-inch stacked heel height. An alternative to standard black or brown, gray is perfect to be worn with all colors. Pairs with plaid and denim. Wear with Mary Jane's button-up plaid shirts (prep-school shirt) from Current/Elliott and gray jeans. 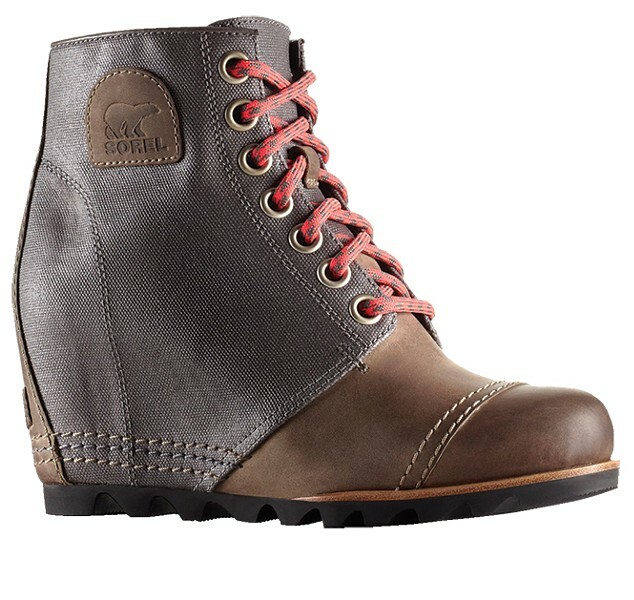 Sorel 1964 Wedge Bootie, $235.95. Hip & Humble (1043 E. 900 South, 801-467-3130). Among colors, shale uniquely can be paired with either black or brown hues. The bootie straddles fashion and ruggedness, and its waterproof leather and coated canvas make it perfect for Utah's fall weather. Undercover wedge is super comfortable, making it easy to wear all day. Laces are extra long for optional wrap around styling. Hello, get here quick. Shale bootie is hard to come by. 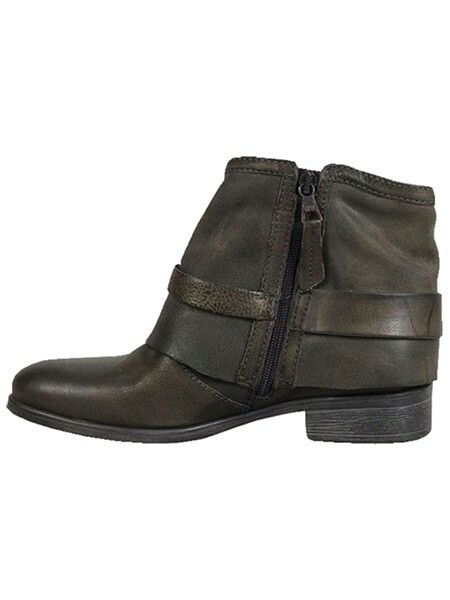 Miz Mooz Seymour Ankle Bootie, $184.95 Hip & Humble. Chestnut bootie has knotted ankle strap and side zipper. Steampunk esthetic. Leather flat boot with side slits. Easy to pair with any color jean or vintage-inspired dress.